This one-shot is so beautiful, that I stopped everything to get it out immediately. This one-shot kind of feels like a marriage of “La Corda Oro” and “Seigi no Mikata“. I love stories with poor, tough, prideful boys. It’s always so cute when a girl breaks through the boy’s shell, without actually breaking the boy. Please enjoy the artwork. Like most of the works from Ichinose-sensei, this one-shot has lush artwork. And now onto the links!Updated 9/21: Small correction to the translation on page 21 Updated 9/17: Small change to the translation on pages 5 and 53. 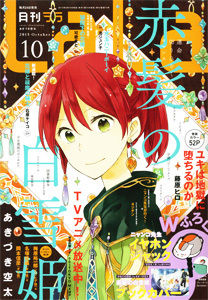 Links to “Kami-sama … Continue reading Fall Supernatural One-Shot: "Kamisama no Sonata"